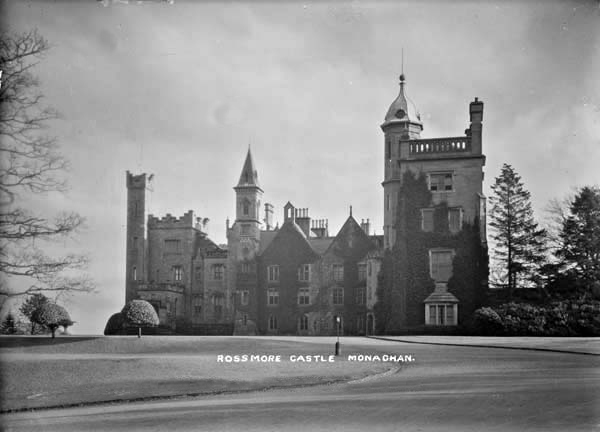 Also known as Rossmore Park, Rossmore Castle was a 19th century castle of great size and variety. Originally built in 1827 to the designs of William Vitruvius Morrison in Tudor Gothic, it was extended in 1858 by W.H. Lynn. The 1827 range was dominated by a square tower with turret and crow stepped battlements and a line of gables and oriel windows. 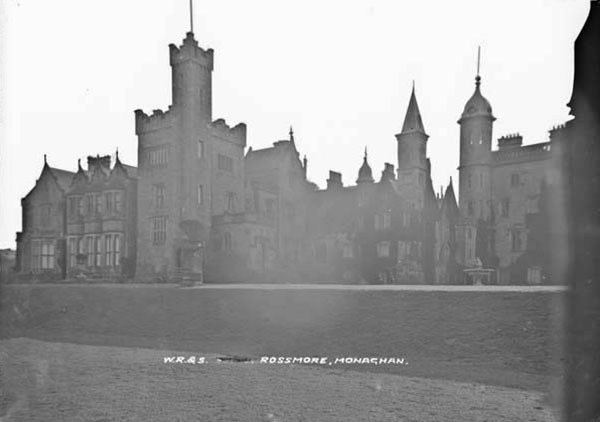 Lord Rossmore and the Shirleys of Lough Fea had competed for many years for the largest room in County Monaghan with the result that the drawing room at Rossmore was extended five times and resulted in the elongated area seen in the left of the photograph. Eventually the Castle had at least 117 windows of 53 different sizes and shapes and the three towers produced a romantic silhouette when viewed from the surrounding hills in the demense. 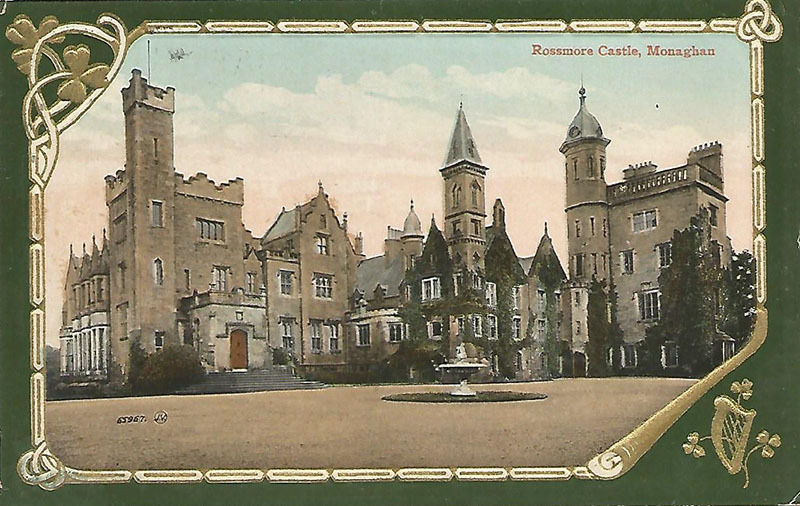 In the later years of the 19th century Rossmore was known for its gaiety with the 5th Lord Rossmore being a friend of the Prince of Wales. After the Second World War, dry rot forced the abandonment of the castle in favour of Camla Vale. 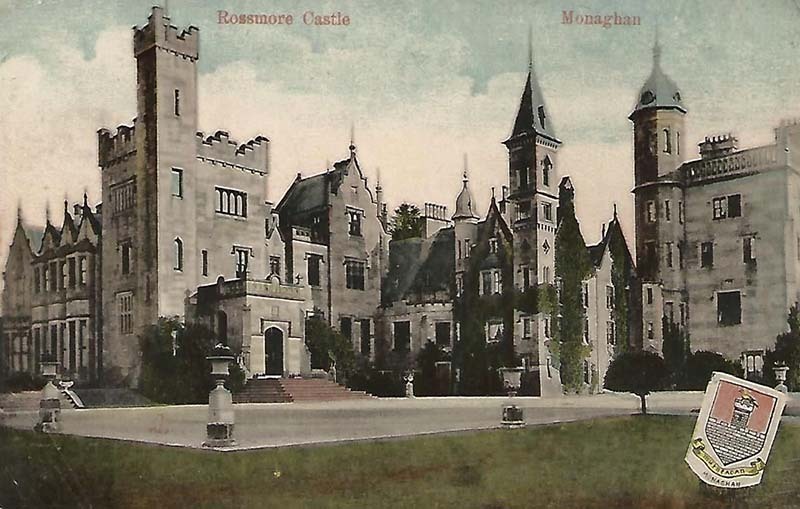 Rossmore Castle has since been demolished.